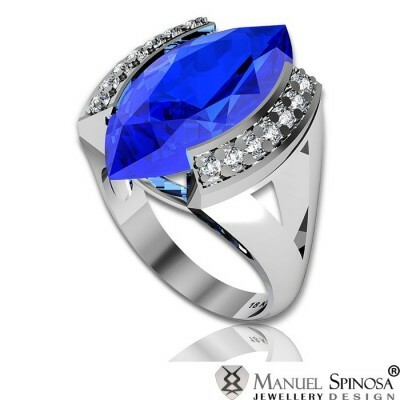 18k white gold ring made with 12gr of white gold, 46 brilliants of 2mm. 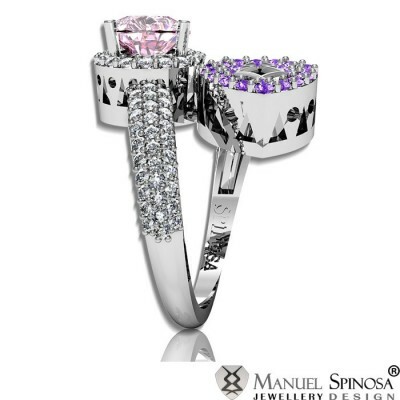 with a total of 1.12ct H-VS1 and a 0.22ct central diamond. 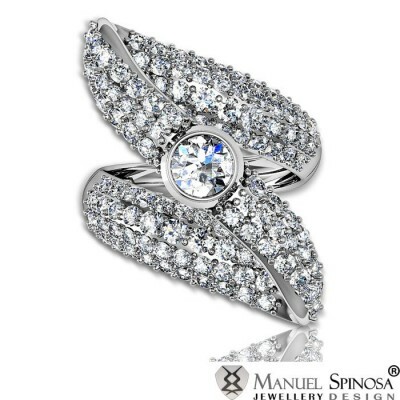 Spectacular and truly a unique design by Spinosa, this ring is made with 9.31gr of 18k white gold and 120 brilliants with a total of 1.539ct-HVS1 and a central diamond of 0.35ct-HVS1. 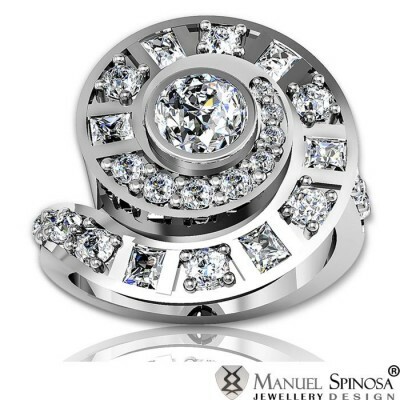 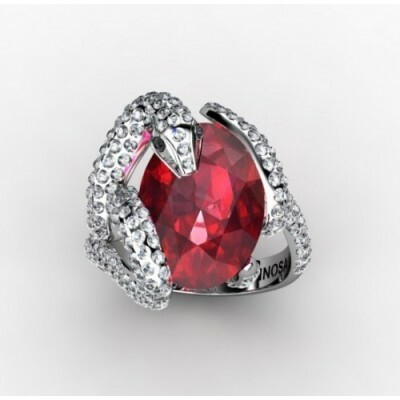 18k White Gold Dome Shaped Ring and decorated with 282 Brilliants. 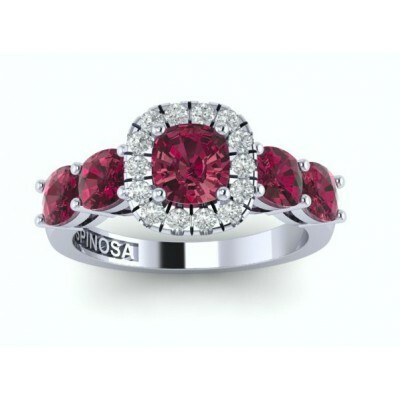 3 Central Diamonds to choose from. 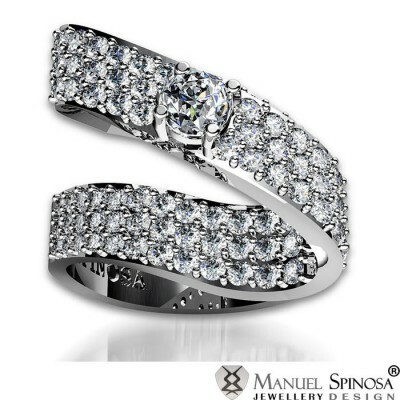 Spectacular diamond ring made with 9.31gr of 18k white gold. 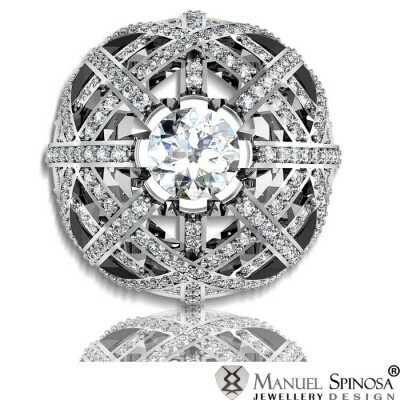 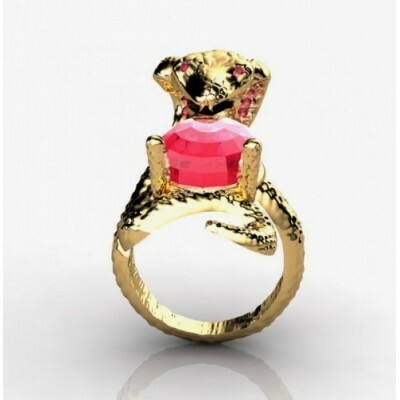 This master piece has 120 brilliants with a total of 1.539ct-HVS and a central diamond of 0.35ct H-VS. 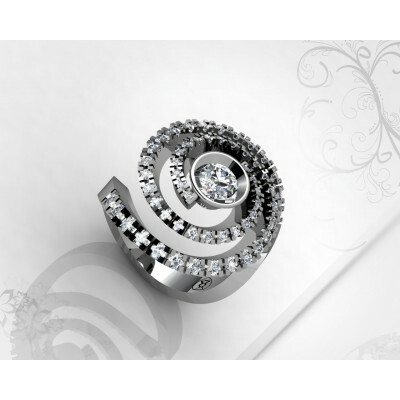 Exquisite diamond ring made with 18k of white gold and 5 black diamonds of 6mm, 2x 5mm, 2x 3.10mm with a total weight of 1.99ct and 12 brillantes with a total weight of 0.621ct-HVS1. 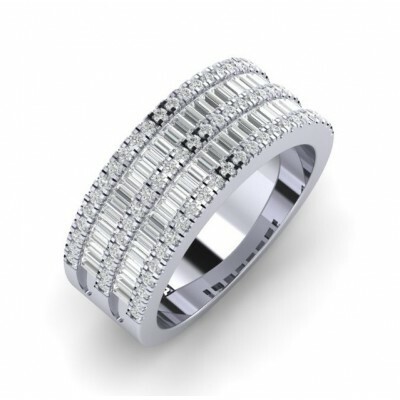 A diamond ring fit for any occasion.